Liquor baron and former Kingfisher boss Vijay Mallya was granted bail shortly being arrested by Scotland Yard in London on Tuesday, a little over a year since he left India after defaulting on loans worth more than Rs 9,000 crore.British authorities have informed the Central Bureau of Investigation (CBI) about the arrest. Vijay Mallya was later granted bail, according to news agency Reuters which cited media reports. 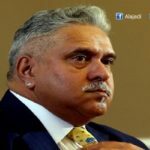 India had given a formal extradition request for Mallya as per the Extradition Treaty between India and the UK through a note verbale on February 8. Mallya tweeted soon after being granted bail. The 61-year-old surrendered his Indian passport during a London court hearing Tuesday before being released on £650,000 ($830,000) bail, according to court records. 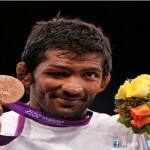 He’s scheduled to return for another hearing 17 May. A spokesman for Mallya, who disputes the charges against him, declined to comment. Mallya’s arrest comes after a special Indian court in June declared the flamboyant former beer baron a proclaimed offender in a case involving loans to his airline. That helped pave the way for banks to take over his properties and auction assets such as his personal private jet, and sought to have him extradited from the UK. A consortium of 17 banks accuses him of wilfully defaulting on more than Rs9,100 crore ($1.4 billion) in debt accumulated by Kingfisher Airlines. He was then presented before the Westminster Magistrates’ Court, where he was granted bail. It was a voluntary action. He will be out in a few minutes, said a member of Mallya’s team at the court, without giving any further details of the bail conditions. The Central Bureau of Investigation (CBI) from India will now put in a request to extradite Mallya to India. Vijay Mallya will be brought back to India, due process of law will be followed, said Santosh Gangwar, Minister of State for Finance. 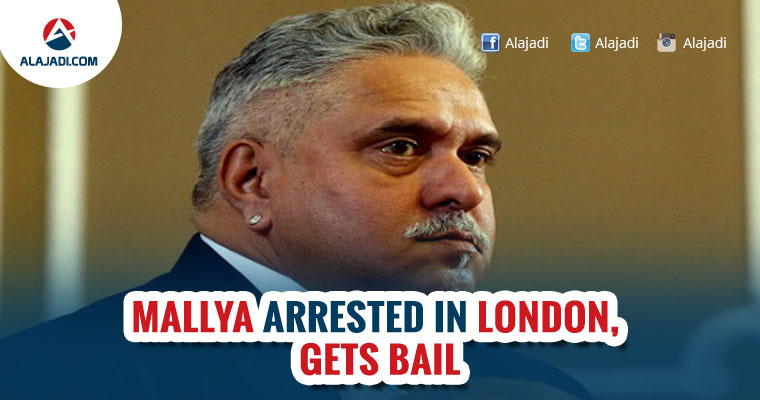 He was declared a wilful defaulter back home last year and on February 8, India had handed a formal extradition request to the British government to bring back Mallya. While handing over the request, India had asserted that it has a “legitimate” case against Mallya and maintained that if an extradition request is honoured, it would show British “sensitivity towards our concerns”. Earlier in January this year, a CBI court had issued a non-bailable warrant against Mallya in the Rs 720-crore IDBI Bank loan default case.